If you’re reading this, you are probably new to Google Apps for Education. You might not be aware of the platform’s amazing capabilities, from real-time collaboration, to 100% web applications and more. So what can you do to ensure you’re getting the most out of Google Apps for Education? As a Google Apps user, it’s important to understand the basics of Google Apps and other features, in order to keep up with Google’s pace of innovation and ensure you’re getting the most out of Google Apps. I’ve been in the Google Apps for Education for quite some time. I’ve seen school leaders dive headfirst into Google Apps, using its innovative features to drive significant positive change in all parts of their school districts. I’ve dedicated this guide to introduce you to each of the products in the Google Apps Suite and their unique features. The guide provides a basic overview of each application along with helpful videos and other training materials you will find helpful as you explore Google Apps. We hope you find this information useful and thanks for reading! With over 425 million users, Gmail is one of the most widely-used web email clients in the world. It’s also one of the most powerful email clients available, proven by the fact that over 5 million organizations have adopted Google Apps (and thus a company-branded version of Gmail) as their corporate email system. Because Gmail runs on the cloud there’s never a need to worry about downloading messages to multiple locations or syncing all your devices. You can access your inbox from anywhere as long as you have Internet connection. Gmail has a variety of the standard features that all email providers have such as composing and sending messages. But Gmail offers so many powerful ways to manage, automate, and clean up your inbox that many people don’t take advantage of. And these techniques can save you serious time in your day to day life. Google Calendar is a web-based calendar which you can use for keeping track of important events and coordinating meetings. This rich time-management tool can be accessed from any computer or mobile device anywhere. 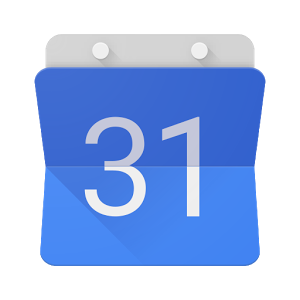 Google Calendar is great as a stand-alone service, but the integration with Gmail, Contacts, Drive, etc. really makes it stand out. The basics of Google Calendar include creating an event, inviting others and booking a room. However, taking advantage of the entire suite of features can make a user that much more productive. Since the initial release in early 2012, Google Drive has become one of the most widely adopted cloud storage services in the world. Drive allows users to easily create, edit and store a number of file types (documents, PDFs, video, photos and more) and access them from any device with an internet connection. As a Google Apps for Education user you UNLIMITED storage for your Gmail, Drive and Google+ photos. Drive can convert your documents created with other programs (like Microsoft office) to Google Docs. The ability to share and collaborate on Google Docs, Spreadsheets and Presentations is arguably one of the best features in Google Apps. 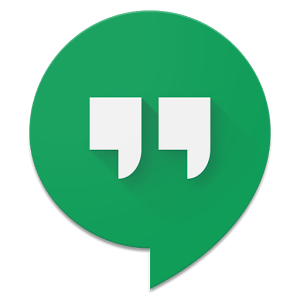 Google+ Hangouts is a free video chat service from Google that enables both one-on-one chats and group chats with up to ten people at a time. While somewhat similar to Skype, FaceTime and Facebook Video Chat, Google Hangouts focuses more on “face-to-face-to-face” group interaction as opposed to one-on-one video chats, and utilizes sophisticated technology to seamlessly switch the focus to the person currently chatting. Google Plus is a social platform where users have the ability for content to be shared withindividuals, circles, or public. Google Plus Circles are groups of friends you can organize by topic or category. Basically, Circles are a great way to categorize your Google Plus contacts into groups. Your Circles might include Friends, Family, fellow Employees, etc. Communicating in Google Plus is really easy with Hangouts which enables group meetings and discussions. Another way for Google Plus users to communicate is through Communities. Communities are interactive forums where people with common interests can gather and discuss the things important to them. Google Classroom ties many of Google’s products together to help educational institutions go to a paperless system. Assignment creation and distribution is accomplished through Google Drive while Gmail is used to provide classroom communication. Students can be invited to classrooms through the institution’s database or through a private code that can then be added in the student interface. Each class created with Google Classroom creates a separate folder in the respective Google product where the student can submit work to be graded by a teacher. Communication through Gmail allows teachers to make announcements and ask questions to their students in each of their classes. Google Classroom will not show any ads in its interface for students, faculty, and teachers. Teachers can add students directly from the Google Apps directory or can provide a code that can be entered for access to the class by students. Google Sites is the easiest way to make information accessible to people who need quick, up-to-date access. 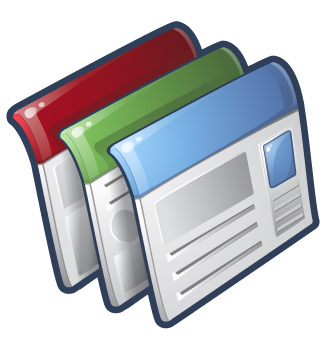 People can work together on a Site to add file attachments, information from other Google applications (like Google Docs, Google Calendar, YouTube and Picasa), and new free-form content. Creating a site together is as easy as editing a document, and you always control who has access, whether it’s just yourself, your team, or your whole organization. You can even publish Sites to the world. The Google Sites web application is accessible from any internet connected computer.